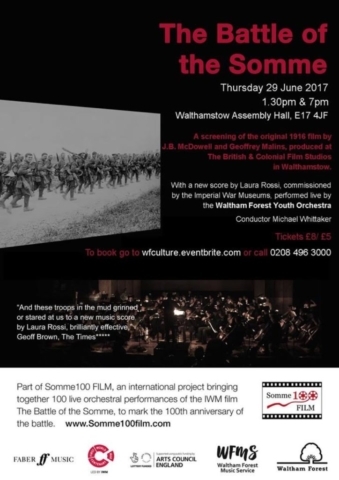 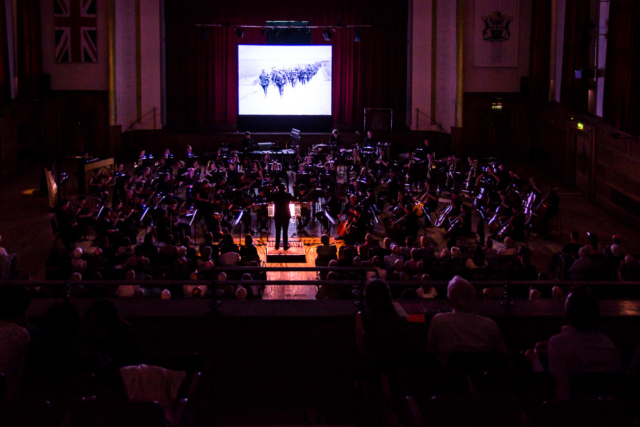 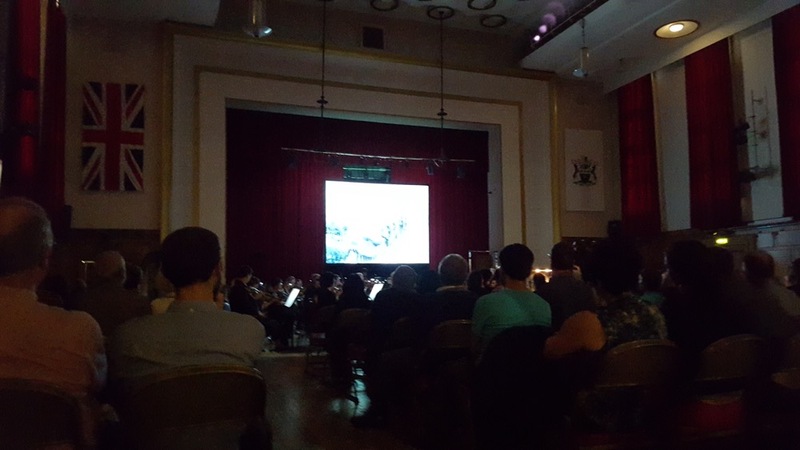 The film was accompanied by a live orchestra made up of young players from Waltham Forest Music Service’s Youth Orchestra as well as professional musicians including some of the music teachers who had been rehearsing for the performance since Easter. 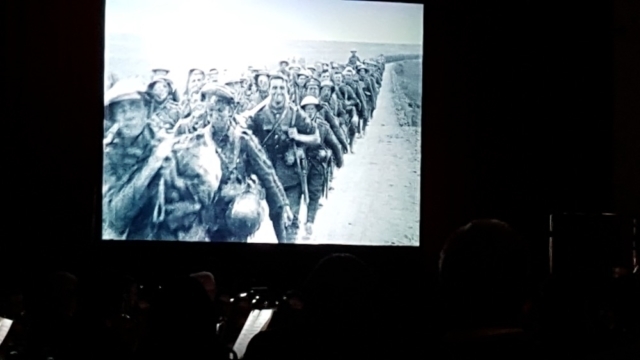 They put on a brilliant performance conducted by Michael White. 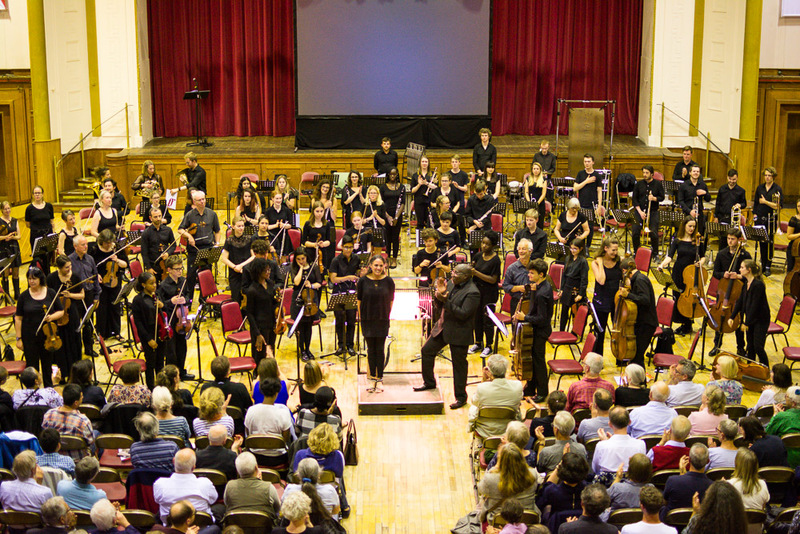 Michael also came to hear Oxford University Orchestras performance. 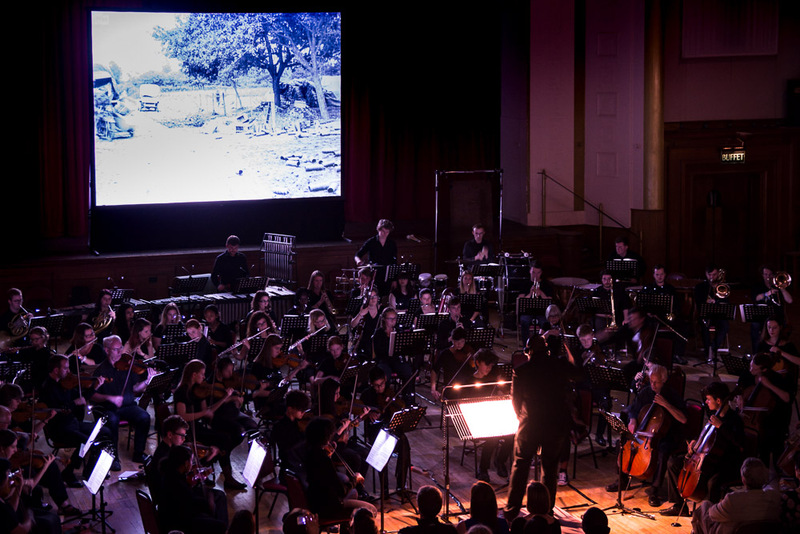 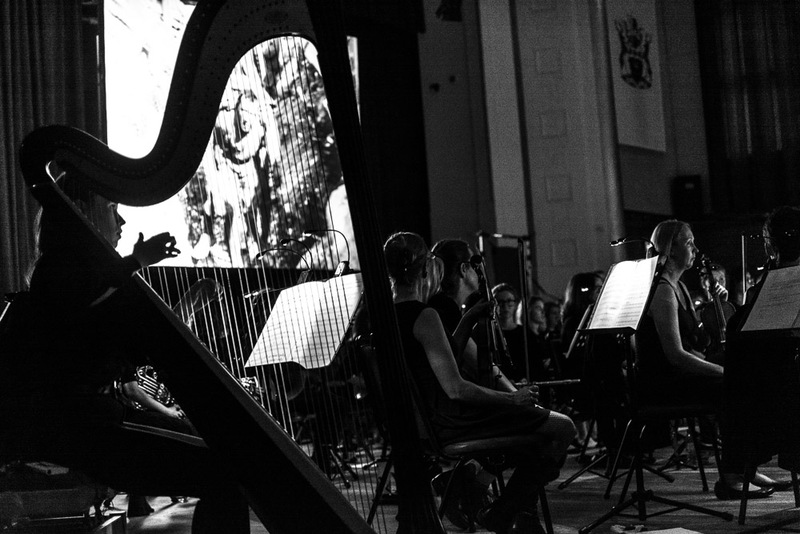 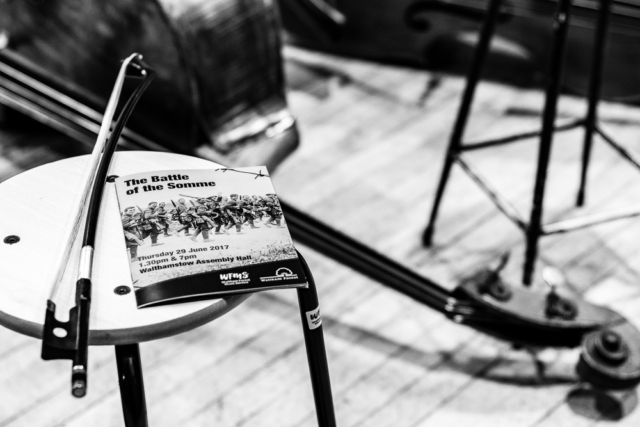 This project has been very special as there have been so many live orchestral screenings, many of the musicians have attended other screenings to get to know the film and the music. 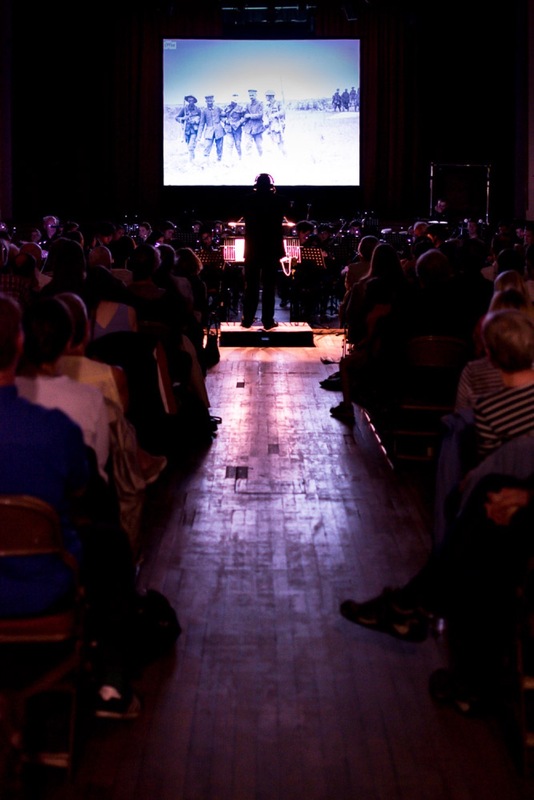 There has also been some musicians that have performed in multiple screenings with different orchestras. 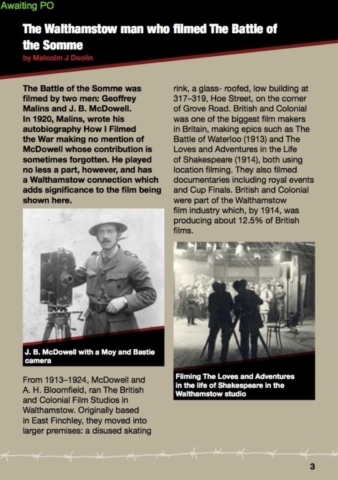 In Walthamstow and Leyton the film was shown simultaneously in three different cinemas in September 1916. 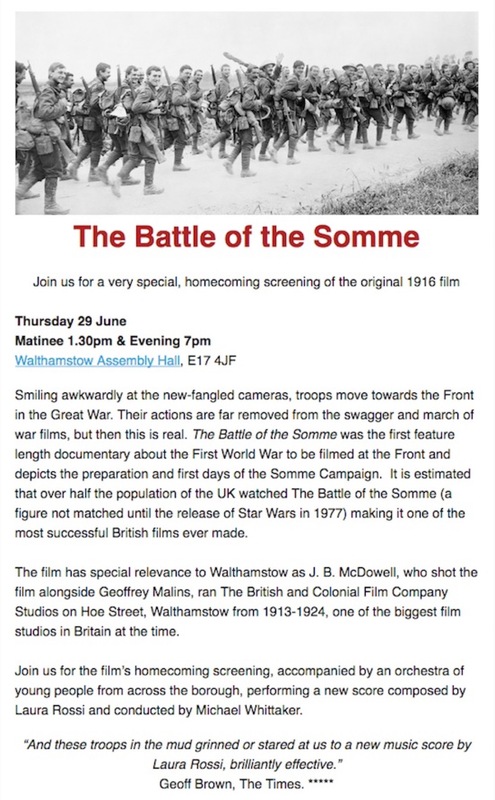 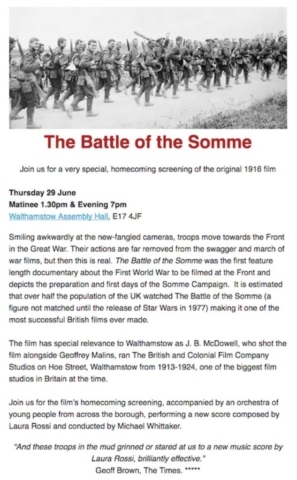 The film has special relevance to Walthamstow, as cameraman J.B. McDowell (who shot the film alongside Geoffrey Malins) ran The British and Colonial Film Company Studios on Hoe Street, Walthamstow from 1913 – 1924, one of the biggest film studios in Britain at the time. 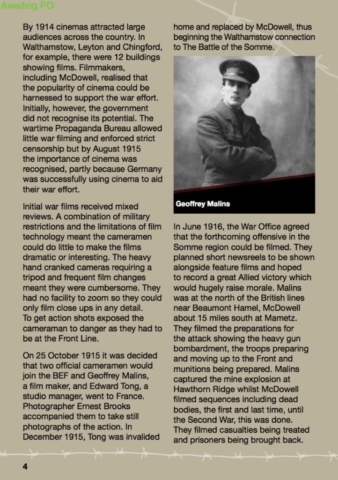 McDowell was one of the most important film makers of the pre-war period. 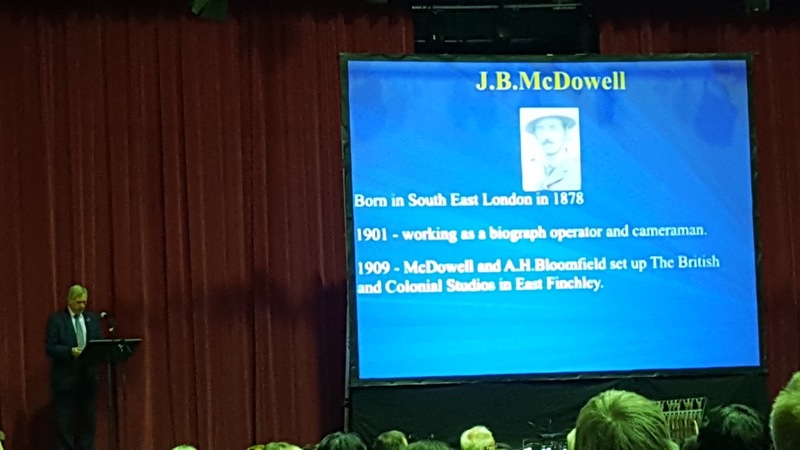 Historian Malcolm Doolin provided a very interesting introduction to the film with details about McDowell’s local connections. Ellen Thomson and Laura Rossi gave a teacher training session in Walthamstow to primary and secondary schools on how to use the resources. 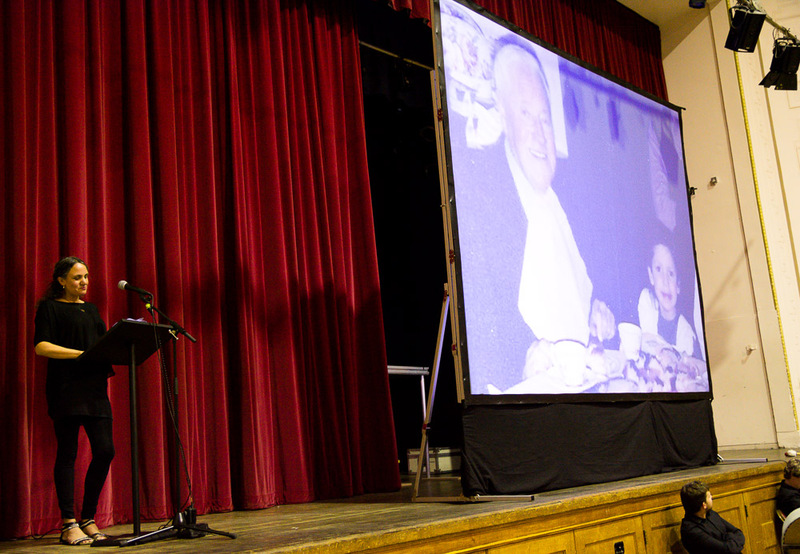 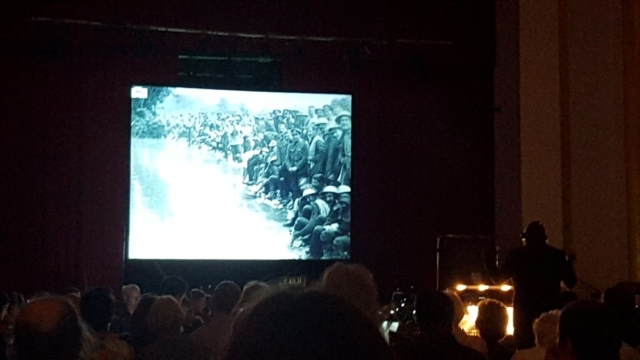 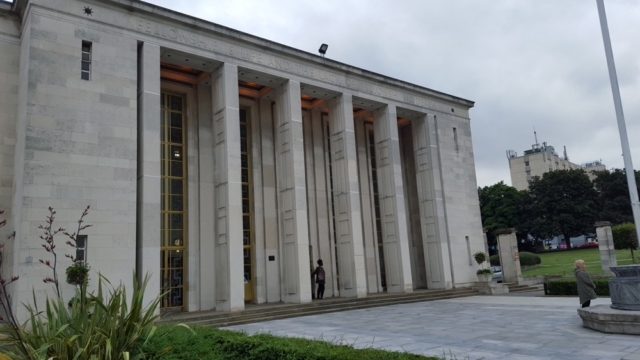 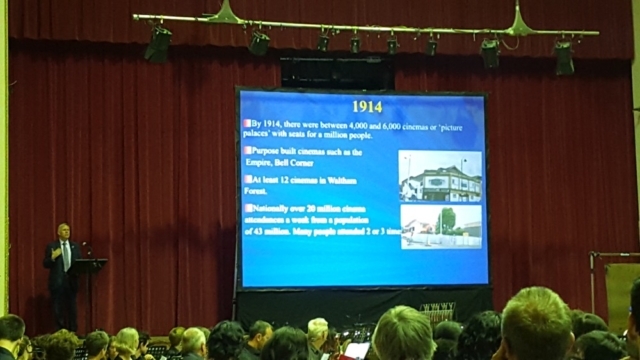 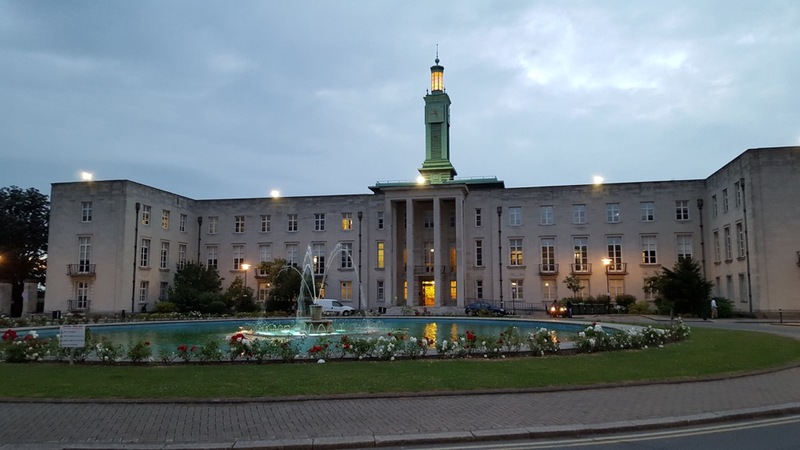 Many students wrote their own compositions to the short film clips and also attended the afternoon live performance at Walthamstow Assembly Hall. 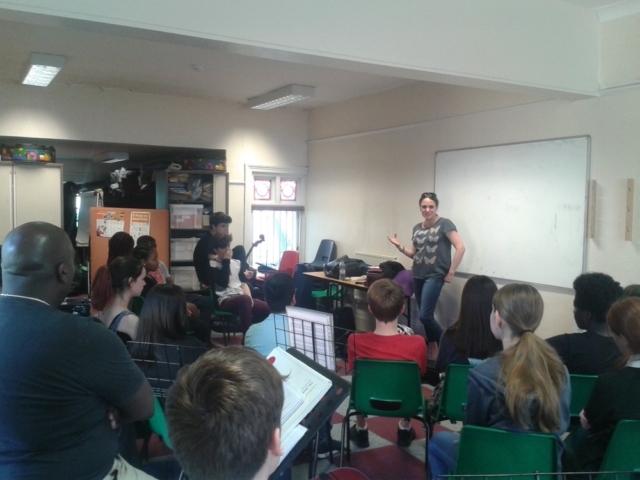 Laura and Ellen also came and spoke to the students at Waltham Forest Youth Orchestra on their first rehearsal. 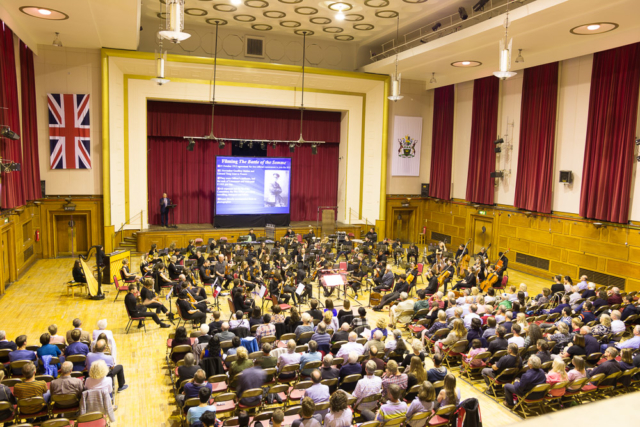 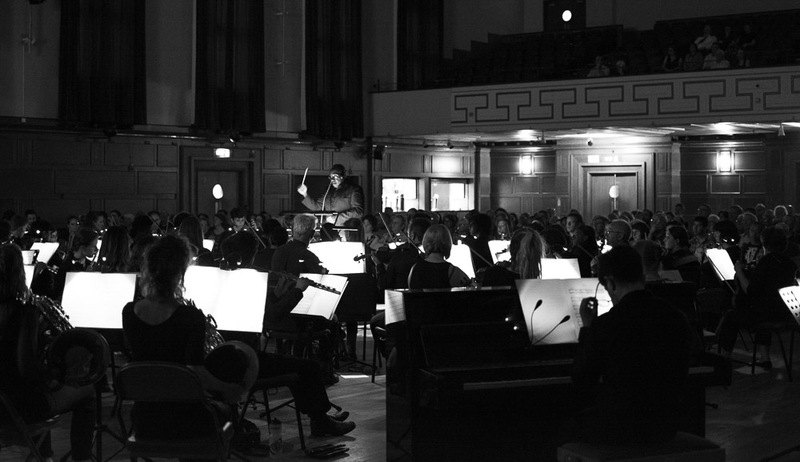 There were a lot of people involved in making this performance happen and we would especially like to thank the following: Michael Whittaker, Waltham Forest Music Service, Musicians from the Forest Philharmonic and Guildhall School of Music and Drama and freelance professional musicians. Malcolm Doolin for the programme notes and pre-concert talk, Mike Eden for his technical expertise, Liza Fletcher from E17 Films and Walthamstow Assembly Hall team, Emma McGovern and the Waltham Forest Council Culture team for enabling this opportunity to become reality in Waltham Forest, and for managing the project. Thanks to Jimmy Lee for allowing us to show some of his picture in the gallery!